I was walking around Ala Moana center the other day and came across a couple of window displays that I just had to share with you all. I love looking at window displays, especially around the holidays. 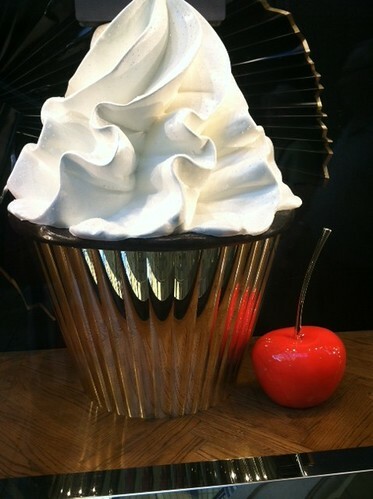 Oh how I want to cram that cupcake in my mouth and nom on it all day long! Thanks for the follow and following you back! You blog make my mouth water. Great blog I love it. Thanks for visiting my blog, but didn't follow me. I'm now following you and I;d be glad if you follow back at http://beauty-hive.blogspot.com. Tnx! Yum! I miss Ala Moana! 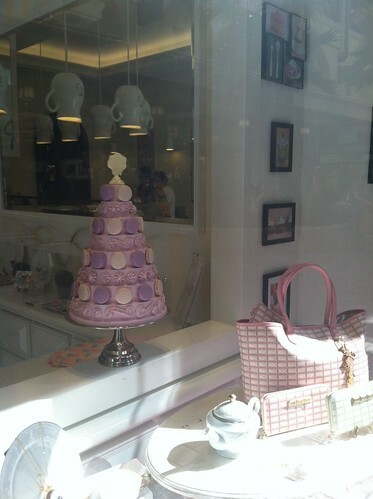 Great window displays! Very creative! Thanks for stopping by my blog and following me. Im your newest GFC follower! Have a great day! Thanks for the follow, now following back with my personal account. I love the layout of your blog – and the content ;)! At this moment I am reqdy to do my breakfast, when having my breakfast coming again to read more news. Thank you for visiting! Hope you had a lovely breakfast.